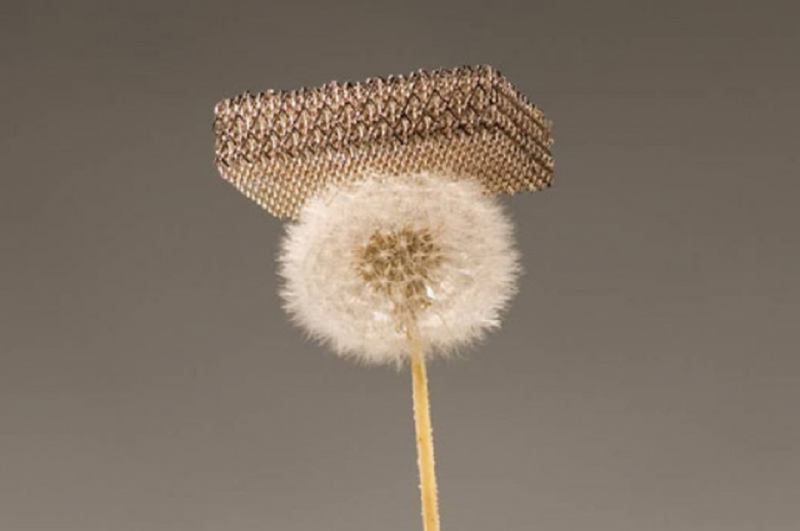 The world's largest aerospace company Boeing has publicized a video of the lightest metal structure ever created, which is made out of Microlattice, the lightest materials known to science. Microlattice was introduced in 2011 by the University of California, Caltech and HRL Laboratories. It is 99.99% air and has a honeycomb structure which allows the structure to yield minimal weight and material cost. It is undeniably lightweight, yet it is also extremely strong. The nickel-phosphorous alloy prototype has many possibilities, ranging from use in aerospace, high-performance vehicles, as well as shock absorption and vibration insulation.Want to know more about this awesome device? Follow this Link!